You can use stronger 6/6 fine nylon clamp. Heavy Duty UV Resistant. Material: All Aluminum Alloy. Bit Size: #30. Free Ship* 1/4" 5/16" 3/8" 7/16" 1/2" 5/8" 7/8" 1"
SBR rubber bumpers are abrasion resistant. Temperature range is -30° to 180° F. For indoor use. Color is black. Application: Cylinder, valve, pump, electrical appliance, chemical pipe, spray, water pipe, decoration, etc. Perfect to use to prevent leaks while working with plumbing, hydraulics, air and gas connections. Aluminum Large Flange Head. Works In Most Hand And Air Rivet Guns. Compression Type: 9/32" x 1/2", 1/4" x 13/32", 7/32" x 11/16", 3/8" x 5/8", 3/8" x 3/4", 9/32" x 3/4", 23/64" x 1-3/8", 7/32" x 1-1/2". Zinc Plated. Extension Type: 13/64" x 13/16", 7/32" x 1", 1/4" x 7/8", 5/16" x 1-1/8", 5/16" x 1-1/4", 5/16" x 1-3/4", 11/32" x 1-27/32". Essential for riveting plastic or nylon connectors, longer length perfect for Speakons. 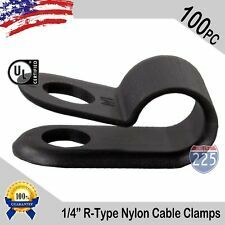 Cable Clamp Type: U-Type. Designed to bundle, clip, protect and mount cables, wires, tubing and rope- Label your wires or rope for easy identification! Material: UV Resistant Nylon. Need Assistance with Your Order?. You can use stronger 6/6 fine nylon clamp. Heavy Duty UV Resistant. R-Type Black 6/6 Nylon. Hole Plugs. Vulcanized rubber construction. New in case. 3 pc - RBG-6 7/8". 5 pc - RBG-4 5/8". 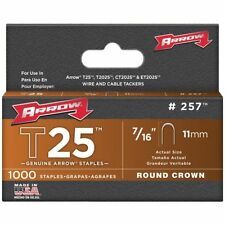 20 pc - RBG-2 3/8". 2 pc - RBG-7 1". 4 pc - RBG-5 3/4". These 1/8" Rivets Work in Both Hand & Air Riveters. Exceptions noted above. Accepts a number 10 Truss head bolt or. 211 screw. 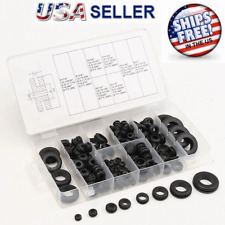 These are high-quality Thermal Plastic Rubber feet. I carry a wide selection of round, square and rectangular. accommodate a larger bolt/screw. This item is perfect for large radio gear, cabinets. You can use stronger 6/6 fine nylon clamp. Heavy Duty UV Resistant Design. Type-R Black Nylon. 100 PCS Large Flange Aluminum-Head Steel-Mandrel Rivet. Has 1/16" groove around outer circumference. Can be used to seal hole in panel or create your own hole in center for custom application. Fits 1 1/8" panel Hole. Hard To Find Item. For Panel Thickness 1/16". Aluminum head-steel mandrel. Size-3/16" x 1/2". 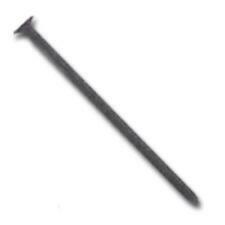 This item is for 100 piece rivets. Quality Screw, Bolt, Nut Size & Thread Checker Gauge. This is a top quality gauge for checking size and thread pitch of screws, bolts & nuts. This gauge is also available in Red or Green. Your Opinion. Heat Treated Carbon Steel, with a Black Oxide Finish. 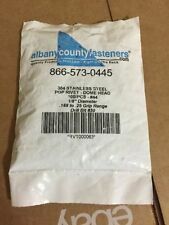 300pc Assorted E-Clip Fastener Kit. Popular E-Clip Sizes Fit a Variety of Applications. Organizational Chart Inside Box Lid For Easy Selection. 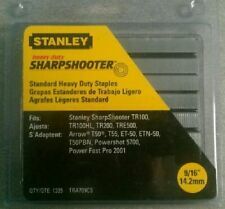 40 Pcs: 1/2". Tool is made of high quality durable hard plastic 1/4" thick. Currently only available in white. John Guest plumbing supplies. Diesel vehicle filters, turbos, and fuel system parts. Perfect to use to prevent leaks while working with plumbing, hydraulics, air and gas connections. Rubber construction resists oil, gas, water, and alcohol solvents. All rubber construction. Material : Rubber. We strive to be number one in the industry and are willing to beat our competitors pricing as well as exceeding industry standards in respect to quality. Very Secured and Hide Your Unwanted Screws Look. Drilled hole sizes All Rubber Construction. (25) 7/16". VERSATILE - clamp any kind of 1/8” wire, cable or rope. Great for guy wire to anchor an antenna, pole, fence, clothes lines, baseball batting cage cable lines. See all of our cable accessories. POP rivets (blind) open end in all stainless steel are used to connect two pieces of material in a quick efficient way. Fastener Type: POP Rivets Blind Open End. 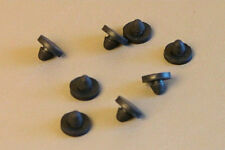 EXAMPLE: If the length of the hat is 1/2" the rivet is actually a 3/8" grip (.375), also known as a 4-6 rivet. 360 ° Stepless Design ：There is no protrusion and gap in the inner, narrowband design providing a more concentrated sealing pressure. Coins & Paper Money. Order information will be updated when After you win the item OR place a new order. "E-Z Lok Threaded Insert, Brass, Knife Thread, UNC Threads, Inch, Made in US"
Crimson Trace laser sight adjustment Allen Wrench Hex Key Tool Smallest Size!